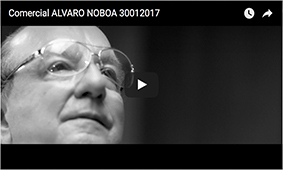 For more than 30 years, Alvaro Noboa has dedicated his life to provide with help to many people in need around the country. That is why Alvaro Noboa created an organization 30 years ago with solid Christian values: The Crusade For A New Humanity Foundation. In order to fight poverty, lack of health, and malnutrition, the Crusade for a New Humanity Foundation has developed several programs that seek to encourage a change in the lives of many people. Health Campaigns with Medical Brigades, the delivery of fruits and medicines are just a few of the many areas in which the Foundation works on a daily basis ir order to help the people.